What’s the best way to inspire the next generation of patriarchy-defeating troops? Arm them with feminist books! We need to immerse children from a young age in literary worlds that depict strong feminist characters, encompass ideas of equality, and celebrate the cultural diversity of the world. They’ll grow up to be future activists, feminist leaders, and all-round good people who (hopefully) will shatter patriarchal structures and embrace equality. It’s never too early to start! By the age of 3, “children have developed their Categorical Self”, which means that they begin to use specific identity labels when talking about themselves. Imagine a world where three year olds are running around nursery proudly declaring themselves as feminists! Here’s a list of five great intersectional feminist books for kids under 8. Read them to your kids, your neighbour’s kids, your nieces, nephews, grandchildren, or even yourself (you’re never too old for illustrations)! Forget this little piggy went to the market, it’s all about these little trailblazers! 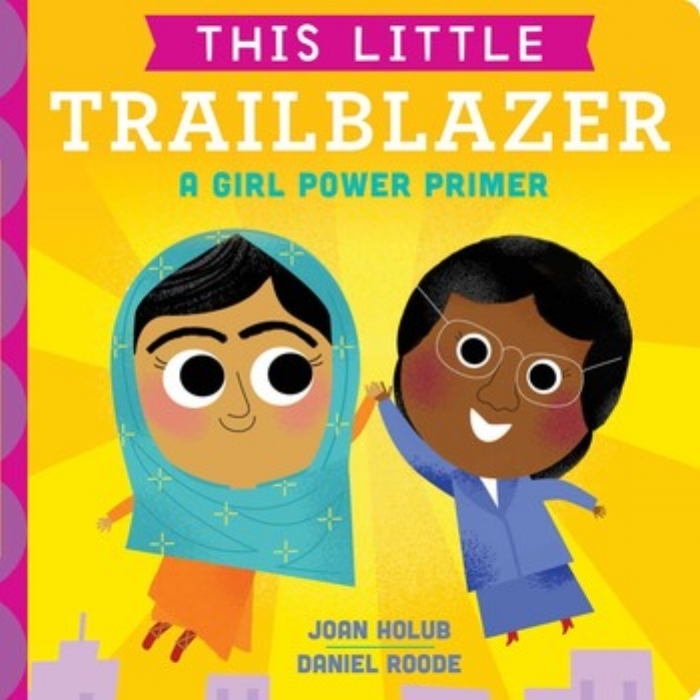 From Florence Nightingale to Rosa Parks, this book introduces children to ten diverse empowering women in history through fun, bold illustrations. Plus there’s a fun four line rhyming poem that summarises each woman’s achievements! This book takes learning your ABC’s to the next level. Written for “the next generation of progressives”, the book unapologetically introduces children to big themes, from environmental justice to LGBTQ+ rights and shows that you’re never too young to learn how to be an intersectional feminist and activist. “Feminist Baby likes pink and blue. Feminist baby is the perfect book to show boys and girls that even if society creates boundaries, girls can break patriarchal values and be anything they want to be. It encourages children to be loud and proud about their identity, plus it’s a great tool to get the word feminism in their vocabulary from day one. A feminist, interracial, lesbian fairy tale? What more could you want! This book tackles a range of issues, from gender equality to societal pressures and LGBTQ+ rights. Plus it’s all packaged in a fun comic style book! A great feminist book for kids that throws us into the world of an outspoken, courageous, young girl who saves the day when her friend’s cat goes missing. It just so happens that she uses a wheelchair. Children’s books don’t often depict disabilities, creating the illusion that they don’t exist.This is a great tale to help young children understand that children in wheelchairs, or with a disability, are unstoppable! Article by VERVE Operative & Blogger Chanju Mwanza.